Es-tu-ar-y (noun): The part of a river or creek where the tide flows in and out, mixing fresh and salt water; one of earth’s most productive and valuable natural places. Estuaries are areas partially surrounded by land where rivers meet the sea. They are characterized by varying degrees of salinity and complex water movements affected by ocean tides and river currents. All of us are connected to the Delaware Estuary, whether we live in Philadelphia, far upstream in Hancock, New York, or right on the Bay at Cape May, New Jersey, or Lewes, Delaware. Estuaries are vital to the human population. People rely on them for drinking water, industry, food production and recreation. Estuaries are lined with vital wetlands that strain stormwater runoff from the land, absorbing a great deal of pollution from the water before it meets with rivers and bays. 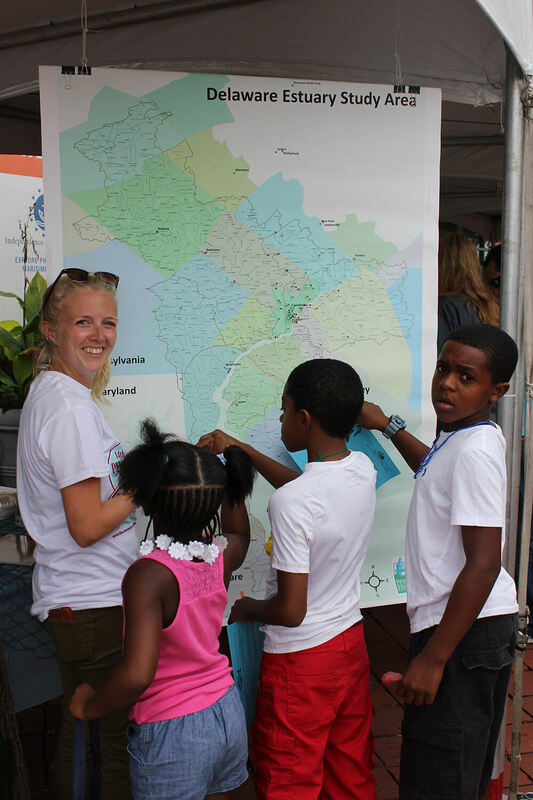 A majority of the Estuary’s six million people live in one of the region’s three largest cities: Philadelphia, Camden and Wilmington. This highly commercialized area hosts the largest freshwater port in the world, accommodates the second-largest petrochemical port, and is home to five of the largest East Coast refineries. 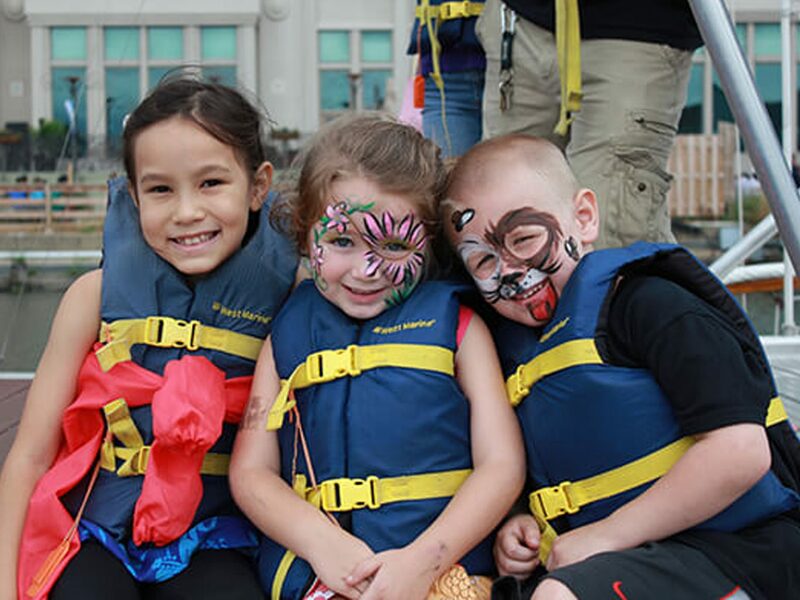 Download our “Delaware Estuary” flyer. The Delaware Estuary faces many environmental challenges. It is vital for everyday people, scientists and industry to continually work together to protect this precious resource that means so much to so many. 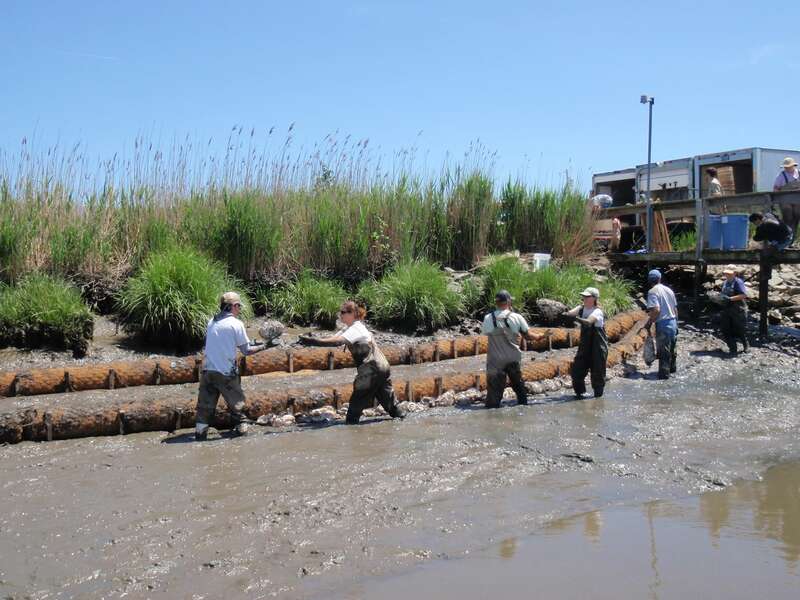 Some of the most important work we do at the Partnership for the Delaware Estuary involves research and restoration of the tidal Delaware River and Bay. See the “State of the Delaware Estuary” Report to learn more. Estuaries are living places hosting more wildlife births than any other ecosystem in the world, with a wide range of habitats for many different species of plants and animals. The Delaware Estuary creates habitat for more than 130 species of finfish, as well as clams, oysters and crabs. The second-largest concentration of migrating shorebirds in the Western Hemisphere is found in the Estuary, along with habitat for 15 different species of waterfowl, which total more than half a million individuals who either migrate through or spend the winter here. 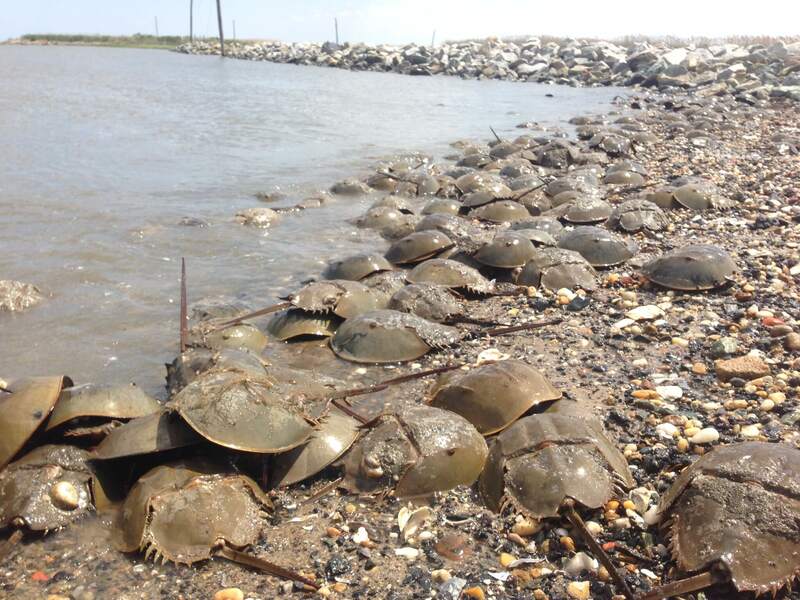 Also found in the Delaware Estuary is the largest population of spawning horseshoe crabs in the world. A watershed is an area of land drained by a river or other body of water. The water that flows over the land’s surface, usually from rain and snow, is called runoff. There are small watersheds, which receive runoff from a few acres into a creek. There are large watersheds, which drain larger areas of land into a river. A large watershed is made up of many smaller watersheds, just as many small tributaries feed a large river. The Delaware River is fed by 216 tributaries and drains 13,539 square miles, including parts of New York, Pennsylvania, New Jersey and Delaware. Millions of people live within this large watershed, all of whom have an impact upon water quality each and every day. Where is the Delaware Estuary? The Delaware Estuary stretches from Trenton, New Jersey, and Morrisville, Pennsylvania, south to Cape May, New Jersey, and Cape Henlopen, Delaware, including all of the Delaware Bay and the tidal reaches of the Delaware River. 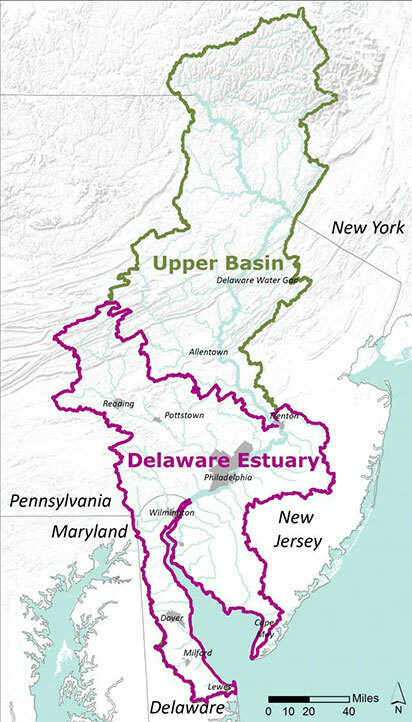 PDE operates primarily in the Lower Delaware River Basin, or the area labeled “Delaware Estuary” in the map above. View an interactive map of the Delaware Estuary. today to support our work. for a local creek or river cleanup.